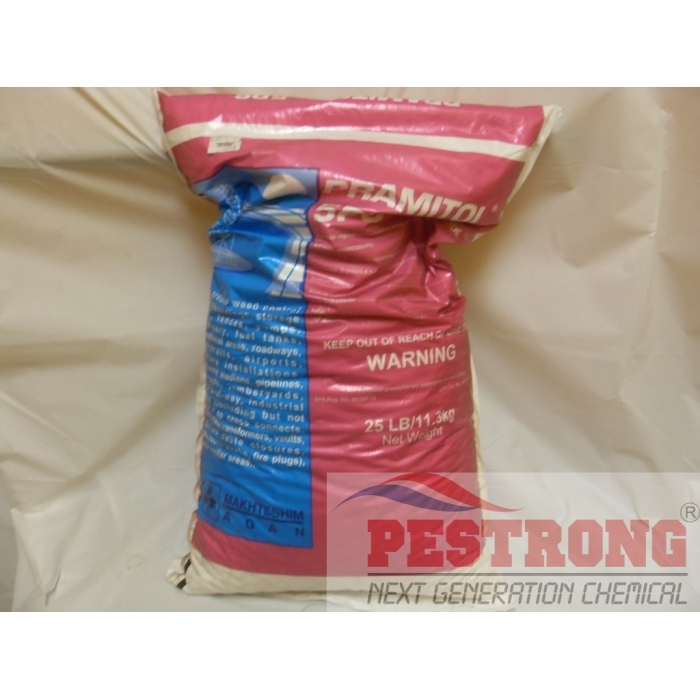 Where to Buy Pramitol 5PS, Pramitol 5PS Granules Herbicide - 25 Lbs - $85.55 for Sale with Fast Free Shipping! Pramitol 5PS Granules Herbicide - 25 Lbs used for total vegetation control on industrial sites, non crop areas around-the-farm, and for use in and under asphalt. Spread this around our farm. It works well and it covers a lot of ground. It is a great value. Very effective product. Works very well around our facility. Excellent product with supreme performance, nice long residuals and easy to use. These pellets work great. I put them down when monsoon starts and let the rain dissolve them into the ground. Fast shipping. Great product with long residual weed control and easy application. Works great with long residual. Was shipped fast and received as promised in good shape. Great weed & grass killer in my yard. benefit long residual and easy application also. Amazingly works! I have applied back of my house, even killed unwanted small tree. slightly odor comes in but not issue. easy to applied.